Daniel P. Horan, OFM is a Franciscan friar of Holy Name Province (NY), assistant professor of systematic theology and spirituality at Catholic Theological Union in Chicago, columnist for National Catholic Reporter, and the author of twelve books including the award-winning The Franciscan Heart of Thomas Merton: A New Look at the Spiritual Influence on his Life, Thought, and Writing (2014). His latest books are titled, Reading, Praying, Living Pope Francis’s Rejoice and Be Glad (Forthcoming in 2019) and All God’s Creatures: A Theology of Creation (2018). He is the author of numerous popular and scholarly articles; is a frequent lecturer and retreat director around the United States and abroad; and has previously taught at Siena College, St. Bonaventure University, and in the School of Theology and Ministry of Boston College. Fr. 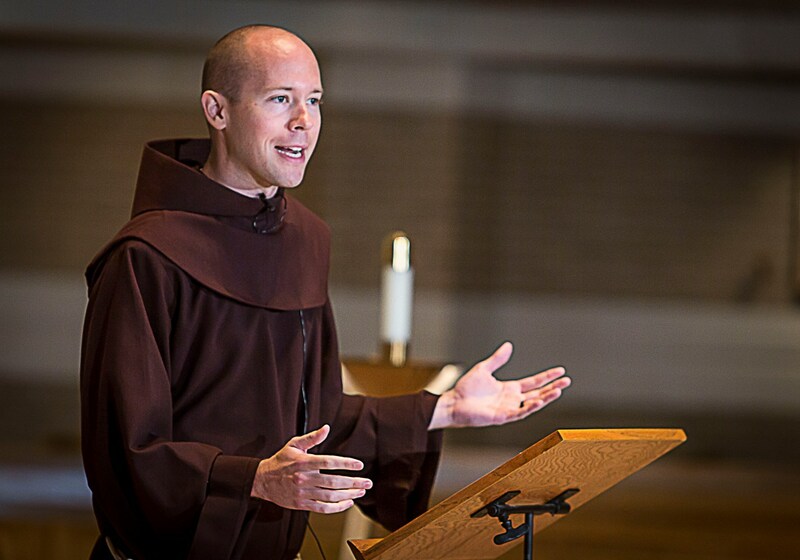 Dan currently serves on the Board of Trustees of St. Bonaventure University in New York and the Board of Regents of the Franciscan School of Theology in California. He is also the co-host of The Francis Effect Podcast. Fr. Dan previously served on the Board of Directors of the International Thomas Merton Society, was the Catholic Chaplain at Babson College in Wellesley, Mass., as co-editor of the academic journal New Theology Review, and was a columnist for America magazine. He received his PhD in theology from Boston College, MDiv and MA from the Washington Theological Union (DC), and a BA from St. Bonaventure University. In addition to several other recognitions, he was awarded an honorary doctorate by Felician University (New Jersey) in 2015. You can check out Fr. Dan’s Amazon.com Author Page here. You can check out Fr. Dan’s Public Facebook Page here. You can check out Fr. Dan’s Curriculum Vitae here.